Marco Grassi is a self-taught landscape and travel photographer. After returning from a one-year trip around New Zealand’s breathtaking scenery, he realized it was time to buy his first camera and start capturing the beauty of this world. Two years later, he achieved his goal after having traveled non-stop around the world. Below, he shares the story behind the breathtaking shots he brought back from his trip to the largest Buddhist settlement in the world. Read on as he reveals how he captured these photos—from his shooting techniques to post-processing workflow. Last October, I traveled to Larung Gar in Tibet, a surreal place with thousands of red houses built one on top of each other. It’s the kind of place where you have to pinch yourself to believe you’re not dreaming. 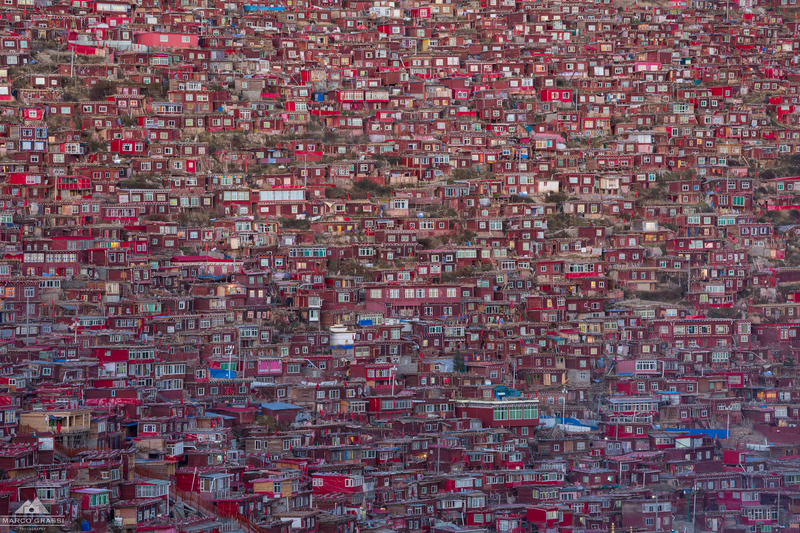 Situated in a remote area of West Sichuan, Larung Gar is home to what is supposed to be the largest Buddhist college in the world with more than 10,000 monks studying and living there. The whole trip took me approximately 18 hours by bus on a bumpy road. And when I finally reached this destination, the view blew me away. 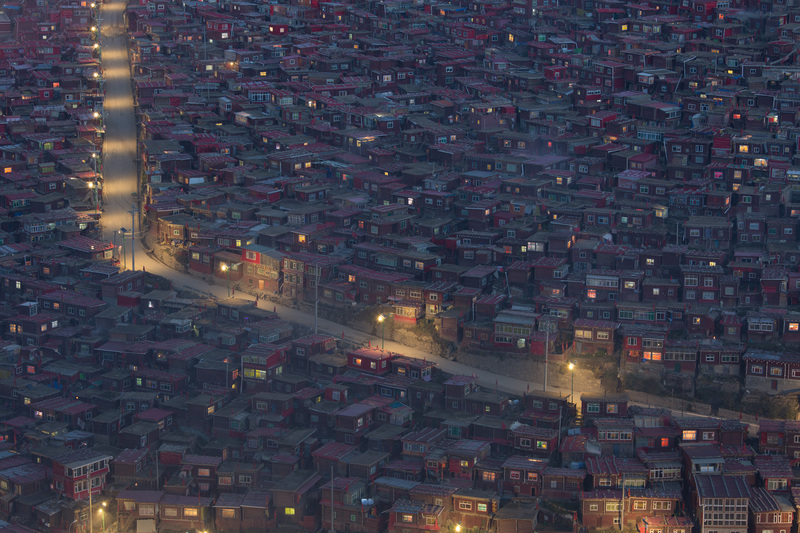 I suddenly started wondering several things, like how does it look like to walk through those tiny houses, and how do they even recognize their homes? During my stay there, I found out that they have very basic facilities—not even a toilet inside their homes. Walking around the village was like being inside a maze. It was a chaotic and busy place, but it was still very organized, thanks to the routine that this entire community had developed over the years. It’s hard not to be inspired by such an incredible and unusual place. I simply couldn’t believe my own eyes by what I’ve witnessed. 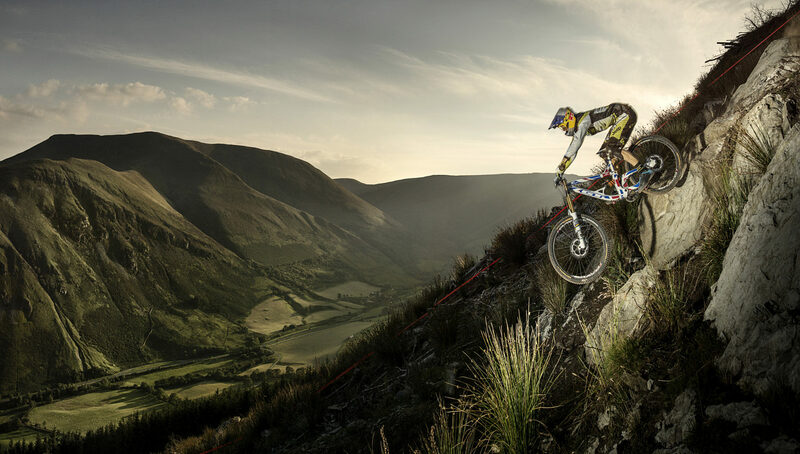 The images in this series Were taken from the top of a hill overlooking the entire valley. I headed up there for every sunrise and sunset. To get these patterns, I had to use a 70-200 lens on a full frame camera. I wanted to get closer to the subject, and compress the distance between the houses. The only difficulties for me were smoke coming out from the chimneys really early in the morning and straight after sunset. Plus, the packs of wild dogs running around and fighting. I had to deal with the direction of the wind too. On certain days, it would send the smoke blowing over the part of the village that I wanted to photograph. It covered the village under a soft veil and created a low contrast. To overcome these challenges, I often had to change my framing, or even postpone the shooting of that portion of the village and reschedule to another day. I’m a fan of doing everything I can right in-camera. When I’m color-correcting an image, I always like to have a flat file to work with. The first samples below on the left side are almost untouched—just some small tuning on the highlights, contrast, and vibrance. In the second images below on the right side, as you can see, I really brought back the color and made the whole scene appear more vivid and bright, as it actually was in reality. In Lightroom, I started the image editing by slightly overexposing the image, and working on the tone curve. Afterwards, I adjusted the highlights, shadows, vibrance, and temperature until I was happy with the final photo. During my stay at Larung Gar, I also assisted in a sky burial. This is a Tibetan funeral practice where human corpses are exposed on a hill to decompose by natural elements, or to be eaten by scavenging animals. This is where I had the chance to get this shot. The birds you see in the picture are Griffon vultures, and they can weigh up to 15kg and fly with a wingspan of almost 3 meters. To find more of Marco’s incredible work, follow him on 500px, Facebook, or check out his website.